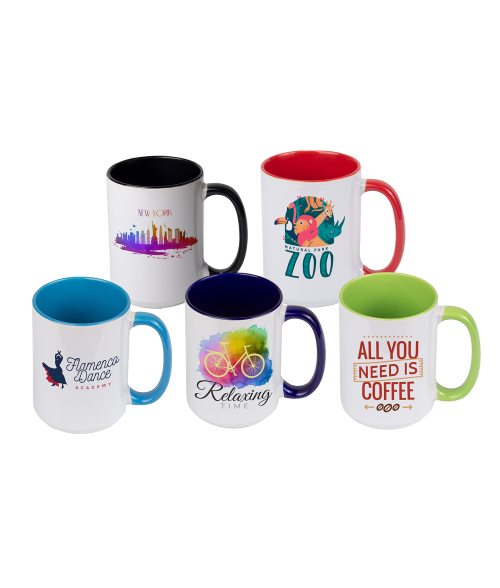 Enjoy your favorite cup of coffee with a uniquely colored 15oz mug. Apply your favorite full-color design for a perfect home or office addition that is sure to brighten your day! Available in black, red, blue, light blue and light green.